Heroin rehab is a programme to help those with a Heroin addiction. Heroin belongs in the opiate family of narcotics. Heroin is produced from the opium poppy growing in central and southern Asia. Heroin is consumed in white or brown powder form. Users are able to smoke or injected heroin. If heroin is injected the powder is first dissolved in water. Once consumed users describe an intense feeling of relaxation. Heroin is classed as a painkiller and its legal form is prescribed as a painkiller. Many health professionals consider heroin rehab to be the most effective heroin addiction treatment available. Call us today to find out more. Why should you consider residential rehab? We strongly believe that rehabilitation is the most effective method of treating an addiction. When going through a rehab treatment programme you will go through several stages, the typical first stage would be a pre-assessment with an addiction specialist who will look to understand the severity of your addiction and what treatment plan will be best suited to you. When your treatment plan has been determined you will then be inducted into our centre and you will begin the physical stage of your residential treatment programme which is the detox stage. After you have gone through a successful heroin detox you will then move onto the psychological side of rehabilitation which involves different therapies including Cognitive Behavioural Therapy CBT. As mental health and addiction are so strongly linked, we believe that treating your mind is key to fully treating your addiction. When you return home from rehab you will be returning into the environment that started your addiction, this is why taking control of your mind is key to fighting any temptations or triggers that will arise when you are put back in that environment. Due to the residential setting of our clinic, you will have access to medical professionals 24 hours of the day all while staying in comfortable facilities that doesn’t in anyway resemble a hospital ward. Contact our team today to find out why residential rehab is the right choice for your addiction treatment. Ocean Recovery has developed an advanced heroin rehab programme. Our Heroin rehab and detox programmes aim to tackle both the physiological and psychological components of heroin addiction through an outpatient basis. During your detoxification programme, you might experience some heroin withdrawal symptoms which can range from mood swings to increased anxiety. Such symptoms last for around 16 days after heroin was last consumed. Since our centre is residential in nature you are subject to 24-hour a day medical observation during this testing time. You are given the chance to ‘taper down’ heroin consumption slowly. If you are struggling to deal with the symptoms then you may be offered prescription drugs to help you through the process. Once withdrawal symptoms decline you are able to take part in counselling and therapy sessions. The aim of these sessions is to explore the reasoning behind your addictive behaviour and to help you overcome or avoid emotional ‘triggers of addiction’. We also accommodate family-based therapy where members of your family attend the centre during your programme. Therapy sessions are conducted by qualified psychotherapists, psychologists and psychiatrist. Therapy takes place with our therapist or alternatively within small support groups. Once therapy sessions draw to a close a fully tailored relapse prevention plan is drawn up. We encourage clients to engage Narcotics Anonymous once rehabilitation has concluded. Free aftercare is provided for 18 months following completion of your programme. Are you a family member of a heroin addict? 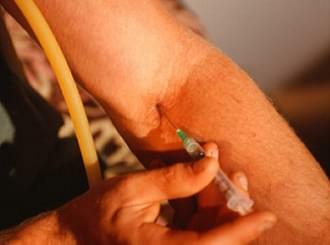 If you are a family member of a heroin addict, then finding the right support can be difficult. At Ocean Recovery Centre, we offer an intervention service. During an intervention, a meeting will be held with the addict and their family, during this meeting all parties will be able to voice their concerns and the hope is that when the addict is confronted with all the facts they will then be able to accept that they have an addiction and seek help. If you are suspecting heroin use from one of your loved ones, read our Signs of Heroin Use page, or our Symptoms of Heroin Addiction page. Call today on 01253 847 553 to enquire about interventions and heroin rehab. Whether you are suffering from an addiction to heroin or other opiates, we can provide a rehabilitation programme that is aimed towards the long term treatment of your addiction through our rehab clinic. Call Ocean Recovery today to find out more about heroin rehab. Call on 01253 847 553. Alternatively, complete the enquiry form and a member of the team will respond shortly. Address: Ocean Recovery Centre, 94 Queens Promenade, Blackpool, Lancashire FY2 9NS.